Sean Anthony Abbott is an Australian right-handed batsman and right-arm fast-medium Bowler. He was born on 29 February 1992 in Windsor, New South Wales, Australia. Abbott was schooled at Gilroy College, Castle Hill. He made his List A debut against Australian for New South Wales in the 2010–11 Ryobi One-Day Cup at the Sydney Cricket Ground in 2010. However, he neither bowled nor batted in that match. He made his first-class debut a year later, at the Adelaide Oval against South Australia. Abbott has played for Parramatta and Sydney University within the Sydney Grade Cricket competition. He debuted for Australia in a Twenty20 International against Pakistan in the United Arab Emirates on 5 October 2014. On 7th of October 2014, he made his ODI debut, again against Pakistan in the United Arab Emirates. Then in early November 2014, he was called up to the Australia squad for the two-match T20I series against South Africa. Abbott bowled a bouncer that lethally hit Phillip Hughes on the neck during a Sheffield Shield match in 2014. Hughes died 2 days later at St Vincent's Hospital, Sydney. Several of the commiseration messages enclosed support for Abbott. He eventually played in NSW’s next game against Queensland in the Sheffield Shield, finishing with figures of 6/14 in Queensland's second innings. In BBL 6, Abbott was named the Sydney Sixers Player of the Tournament after taking 20 wickets over just 10 games. He shared the award with batsmen Daniel Hughes. 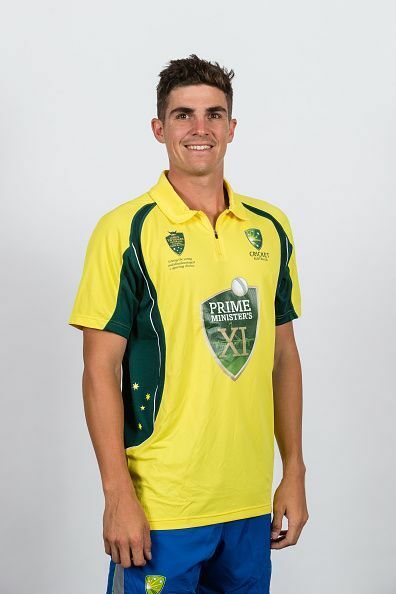 Abbott was named as Australia's young player of the year in Jan 2015. In the 2015 IPL auction, he was bought by Royal Challengers Bangalore for Rs 1 crore. On August 28 2017 the Sixers declared that Abbott had re-signed with the club for 3 additional editions of the massive Bash League. In the 2017–18 JLT One-Day Cup, he played for New South Wales and took 12 wickets, the most by any player in the team.